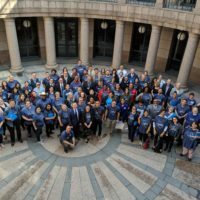 (AUSTIN) — Beginning January 1, 2018, Texans can donate to the Texas Ending Homelessness Fund (www.txhomelessfund.org) when they register or renew registration for their vehicle. Donations can be made when renewing online at www.texas.gov or when registering or renewing vehicle registration at your county tax assessor-collector office, substation, or subcontractor, such as a participating grocery store. 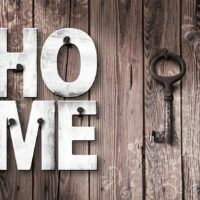 While figures vary, the annual point-in-time count from the U.S. Department of Housing and Urban Development estimates that more than 23,000 Texans are considered homeless, including approximately 7,000 living on the streets and more than 16,000 living in shelters and transitional housing. 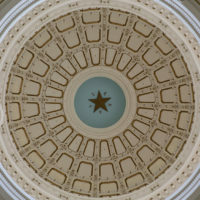 The 85th Texas Legislature passed H.B. 4102, which was enacted on September 1, 2017. The act amended Subchapter H, Chapter 502, Transportation Code to add Section 502.415, Voluntary Contribution to Ending Homelessness Fund. 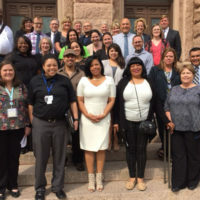 This section allows registrants of a motor vehicle in Texas to elect to contribute any amount of funds to the newly established Ending Homelessness fund. Funds will be sent by the assessor-collector to the comptroller, and held in trust to be administered by the Department as trustee. The funds must be utilized to provide grants to counties and municipalities to combat homelessness. The act further requires the Department to adopt rules governing applications for grants from the Fund, and the issuance of those grants.